United had this game more or less won in the opening quarter of an hour by which time they had established a two goal lead against a poor Hearts side. 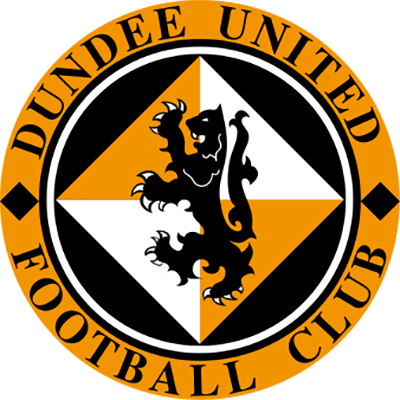 Scott Crabbe for flu victim Christian Dailly was the only change in the United line-up from the one which lost to Aberdeen and the United striker didn't have long to wait before making an impact against his former colleagues. He latched on to Walker's poor clearance and hit a stunning 25 yard shot into the top right hand corner gave us a third minute lead. Yet, between United's two opening goals, Hearts had their best efforts of the game. 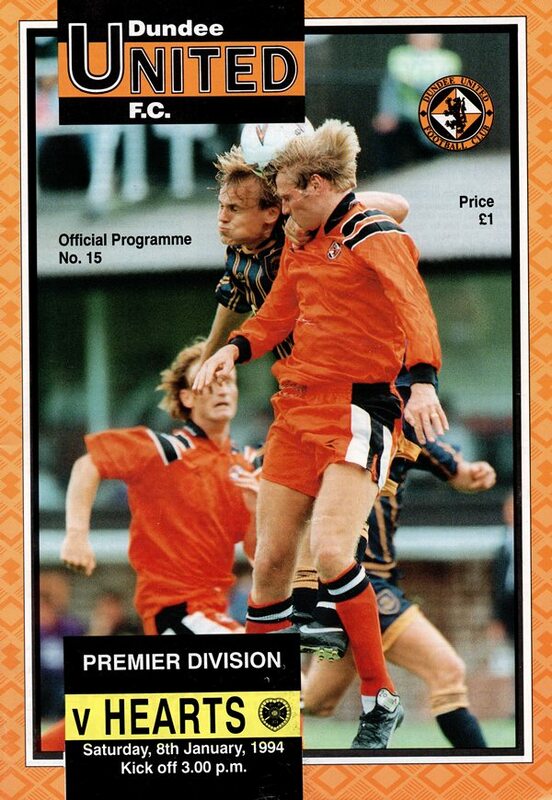 Guido van de Kamp had to be at his most alert to drop on a hard hit grounder from Wayne Foster and then spectacularly tinger-tipped away a 20 yard Scott Leitch volley. But four minutes later United went two up and again sloppy defending was to blame. Brian Welsh floated a ball into the box which fell to Paddy Connolly and he side-footed the ball into the ground and over Nicky Walker. That second goal took the wind out of Hearts and even the arrival of John Robertson and Gary Mackay with not too much of the second half played failed to lift Sandy Clark's men. United's substitute Jerren Nixon sparked a flurry activity when he made his first team entry as a Jim Mclnally shot was blocked by Nicky Walker and then Craig Brewster's shot was cleared off the line. United's fine start to 1994 was completed quarter of an hour from the end when Craig Brewster converted a Maurice Malpas cross from close in to equal the maroons heaviest ever league defeat at Tannadice on Premier business. The start of a new year is always the time for reflection and in the first part of the season there have been some things which have pleased me, but I am the type of person who is never happy to accept second best at anything. So first and foremost I will be looking for more consistency which we did start to show towards the end of the year. We started the season off with some useful results, but our performances were not as good as I would have liked. Yet when we improved in that direction, results deteriorated! However, as we start 1994, we have added Gordan Petric and Jerren Nixon to the staff and their arrival gives me greater options and stimulates competition for places. I said at the outset that I wanted a first team squad of 16 to 18 players and I feel we are not too far away from that now. Against Aberdeen I didn't think that there was too much difference between the sides. Having said that we didn't do as well against them as in the previous two meetings and we lost a bad goal during the opening period when we were a bit slack. After that against a very useful side there wasn't too much between the teams and remember Aberdeen have ben shaping their current side for a couple of years whereas we are only some five months into my blue-print for United, so I am confident that we are heading in the right direction. For me the season starts now and my wish for for the New Year is that we make further rapid strides towards greater consistency in results and performance. 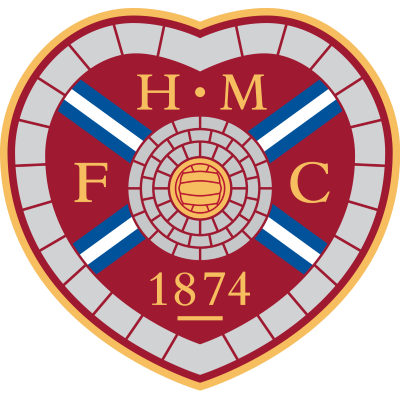 Hearts are our first foots and though we have shared the points witti them in the two previous games, I thought we deserved more, particularly in the last meeting at Tynecastle and hope that we can get 1994 off on the right note with a victory. 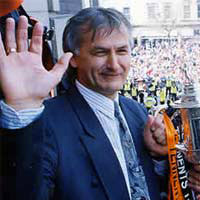 Finally, may I wish you all a very healthy and happy New Year and together we can make 1994 a prosperous one for Dundee United.